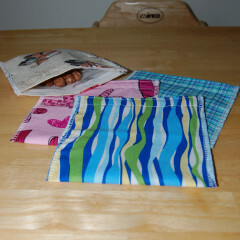 I’ve been wanting to make some reusable snack bags but haven’t been sure how to best go about doing that. Based on a few different ideas and tutorials I read online, I made my own simple version that is really fast to make and works perfectly. Even my 2.5 years olds can open and close these little bags easily. 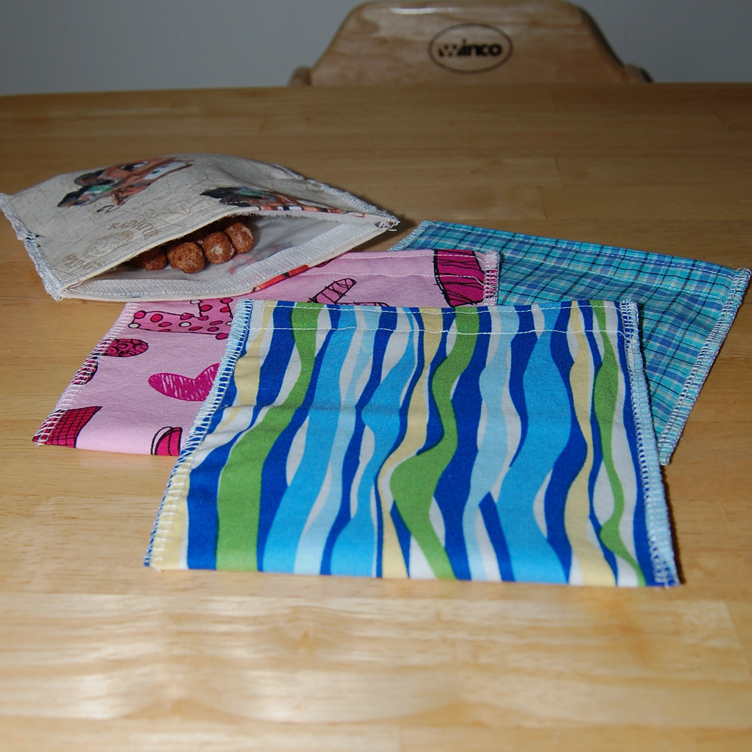 To make them, you just need some scrap fabric (I’ve used cotton for all of mine so far), a reclosable sandwich bag (I prefer Ziplock freezer bags, and they are pretty thick), and some hook and loop closures (otherwise known as Velcro, which I forgot to include in the photo below). 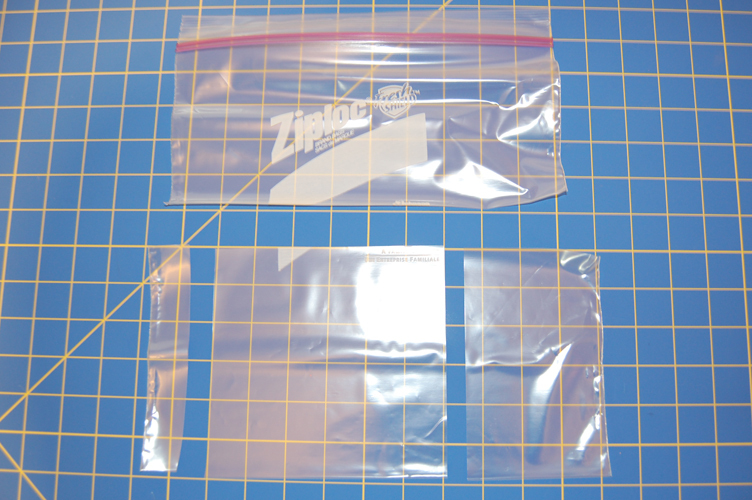 The following instructions will give you a 5.25″ square snack bag, but you can adjust the measurements to make whatever size you want. I was making three at the same time, so I hope it’s not too confusing if the fabric changes from picture to picture in the instructions below. 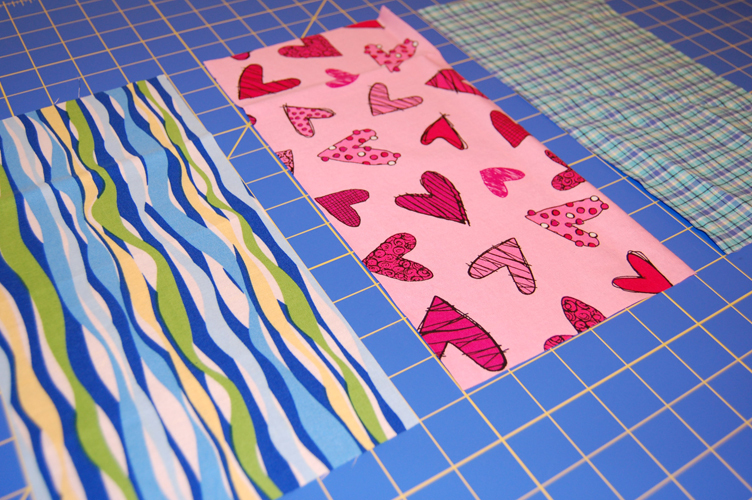 To start out, cut one 6″ x 12″ piece of fabric for each bag. Next, cut your plastic bag to make the bag inner. Start by cutting off the top of the bag. 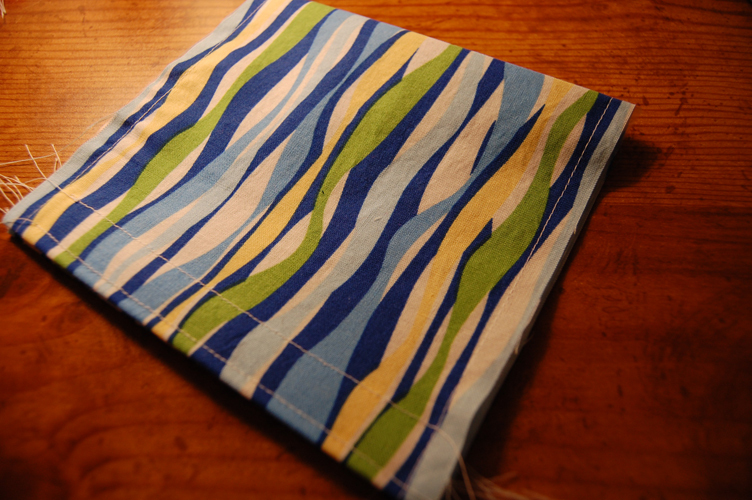 Then, with the fold at the bottom, cut a 6″ square piece, so if you were to un-fold it, it would be 6″ x 12″. In the photo below, the middle piece of the bottom row is the piece I will be using. 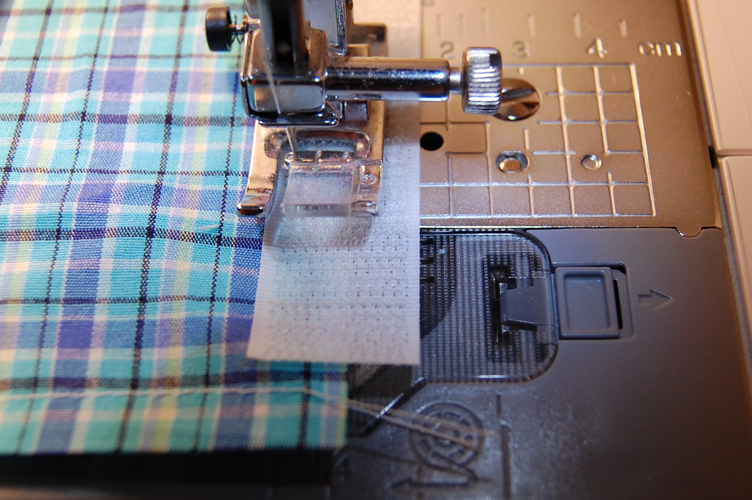 To keep it from sipping all over while you work, you need to tack the plastic to the fabric. 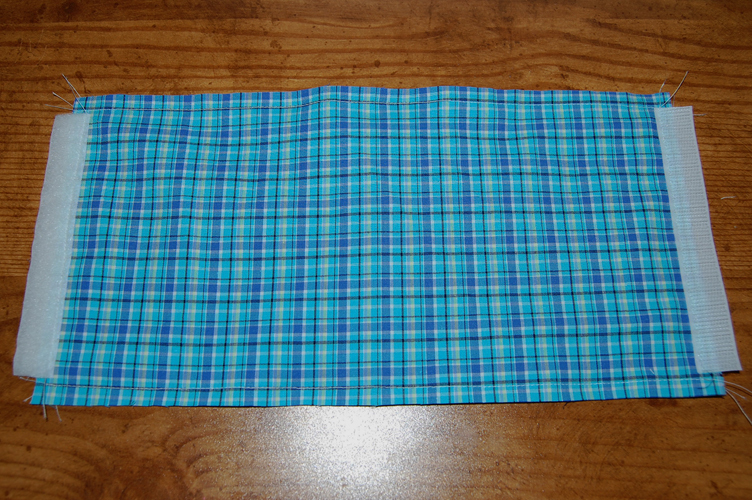 To do this, lay your fabric down wrong side up, and then unfold the plastic and with the crease making a valley, lay it on top of the fabric and run a straight stitch about 1/4″ from the edge down both long ends. I didn’t bother to reverse at the beginning or end of this since it’s just to hold it in place for now. 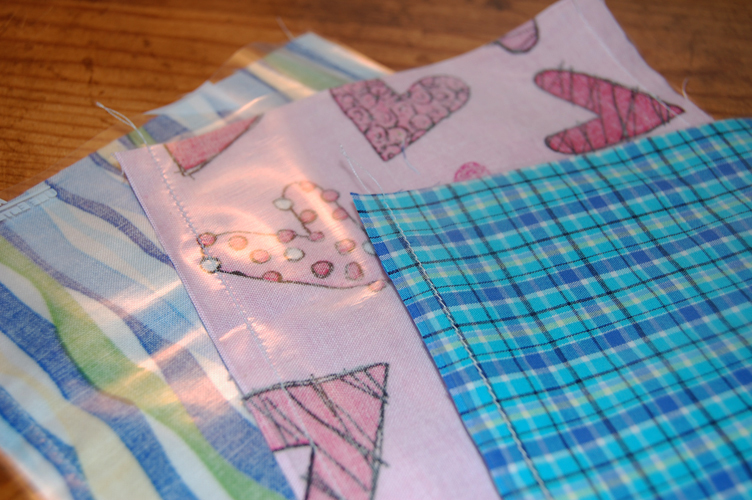 Here are my baggies with the plastic tacked on to them. The last step is to finish the edges. 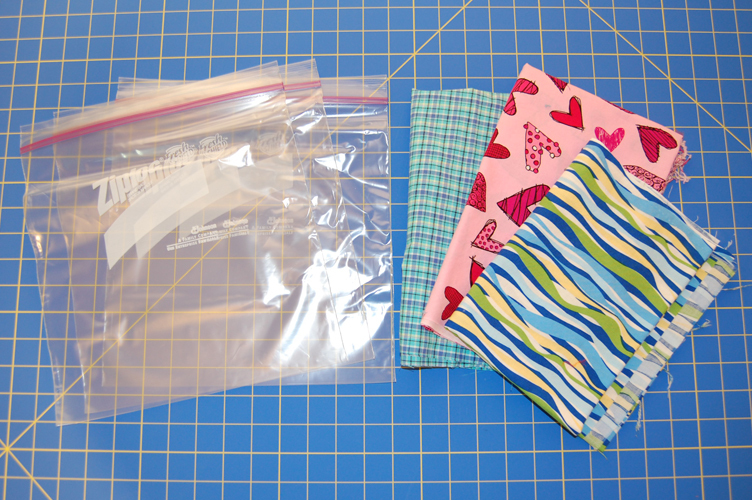 Start by folding the bag in half and lining up your Velcro to “close” the bag. 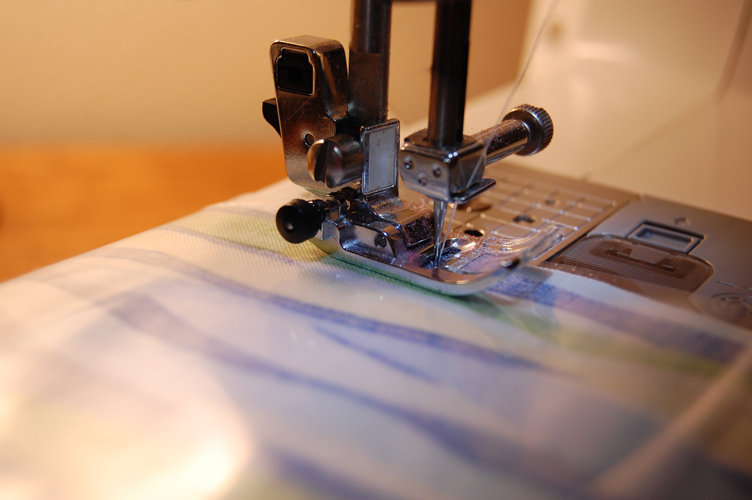 In the picture below, the Velcro is at the bottom so you can see how I’ve sewn it on. 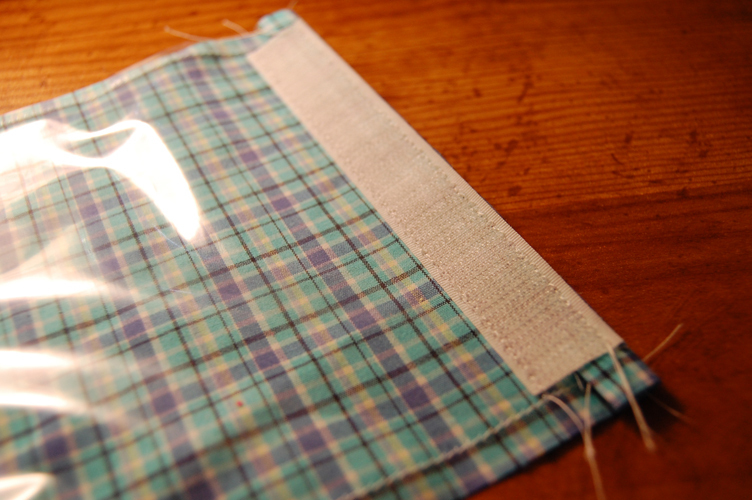 To finish, you can either serge along the edges from the Velcro to the fold (my method) or use bias tape along the edge to finish it (not pictured). So far, I’ve just rinsed them in the sink and let them dry if needed. I’m guessing a gentle cycle with cold water and air drying would work, too.